The Langley Rivermen are about to make their mark against bullying. 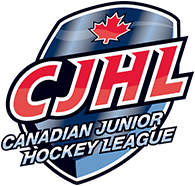 This Wednesday (Feb. 21), the junior A hockey team’s players are inviting their fans to join them at their home rink, the George Preston Recreation Centre (GPRC), and help put bullying on ice. The Rivermen and Township of Langley are partnering in an anti-bullying campaign in the lead-up to Pink Shirt Day, a nation-wide initiative happening Feb. 28. From 6:30 to 8 p.m. at the GPRC (20699 – 42 Ave.) the players will be painting anti-bullying messages on the GPRC’s ice surface. The messages will remain in the ice for the Rivermen’s two final games this weekend (Saturday, Feb. 24 versus Merritt starting at 7 p.m. and Sunday, Feb. 25 against Prince George at 2 p.m.). Cost to attend Wednesday’s painting party is $10 per person, and participants will receive a ticket to one of the two weekend games. The Rivermen players are fully behind Pink Shirt Day’s message of compassion, empathy, and kindness. Lategan believes team sports is an excellent anti-bullying tool because it promotes inclusiveness and teamwork. Defenceman Jake Livingstone said, in his experience sports was a way of connecting kids who wouldn’t otherwise associate with each other. ‘Riv-nation’ has a reason to get excited with the B.C. Hockey League’s post-season just around the corner. After a rough start to 2018, the playoff-bound Rivermen (24-19-10-2) have rediscovered their winning form, winning back-to-back at the GPRC last Saturday and Sunday. The Rivermen outscored Penticton 5-3 on Feb. 17 and then played solid team defence in a 3-1 win over Coquitlam the following day. 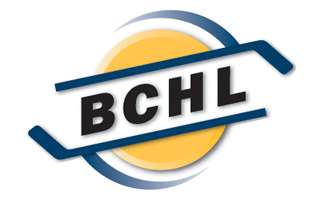 The two home-ice wins have allowed the ‘Men to leap-frog over the Chilliwack Chiefs and Surrey Eagles, and into second place in the B.C. Hockey League’s Mainland Division. With 60 points, the Rivermen are two points up on the Chiefs and Eagles with three games to go in their season. So it’ll come down to the wire in terms of playoff positioning and coveted home-ice advantage to start the regular season. The Prince George Spruce Kings (30-17-4-4) will first first and play the fourth-place team in the division to open the playoffs.